Warning: The following story will either gross you out a bit (or more, I dunno, depends on you) or lose your respect to me (kung meron man lol). I just wanted to write this down because 10 years from now it'll be a good/gross story to tell to my... sige na nga, future kids. Or wala lang, for record keeping lang. Before this story let me tell you that I've only puked once in my life. I was 13 and down with the flu. I don't get sick on bus, plane nor boat rides. Kahit sa bitukang manok sa Quezon, nu-uh. So when I woke up in the middle of the night, retching all the wonderful food (not anymore?) I stuffed my mouth with the previous day, I said to myself "patay tayo dyan". Breakfast came. Raymond cooked for us, I ate so little. While the boys were playing NBA2k12, eto na naman po. Goodbye breakfast. Fast forward 2 hours to ION Orchard. I drank tea to settle KJ tummy, slept while JC ate his Chicken Rice alone (oo natulog ako sa Food Republic my gas!). After my 15-minute nap, I stood up and we went back to walking. Wala pang 50 steps, out goes the barf bag and the tea I drank earlier. Sayang naman ng $2. I was probably more embarassed by this though than when I puked on South Bridge Road (more of that later). If somebody asks me, "nagpunta ka ION Orchard?" I'd sweetly reply "yes! nagsuka pa nga ko dun e." How memorable no? After an hour, I tried eating again. Orange + Banana fruit shake and Pork Spare Ribs. Himala of all himala it stayed on KJ tummy! However, I can still feel angry stirrings inside KJ tummy so I didn't rejoice just yet. Off to Tiong Bahru to search for the best Chicken Rice in SG, well, according to Anthony Bourdain. Wrong TV show. The Layover pala yung nasa Tiong Bahru. Dun tayo sa No Reservations days pa nya. Hopped back on a train towards Tanjong Pagar (the nearest station to Maxwell Food Centre) that houses the best Chicken Rice in Singapore (totoo na 'to promise!). In SG, basta pinipilahan alam mong okay dun. Wow lang sa pila. I still didn't eat much. Screw you KJ tummy! From Maxwell Road we turned left and traversed South Bridge Road to North Bridge Road, passing Chinatown and too many to mention streets. I think it was somewhere near Upper Circular Road when the nasty feeling from the pit of KJ tummy resurfaced. Of course it had to happen while we were crossing the road. Those people crossing from the other side were probably giving me the stinky eye but I couldn't care less. Ang hirap kaya, feeling ko pati baga ko ilalabas ko na! JC was so worried pa kasi I accidentally let loose a bit of fluids from my barf bag to the pavement e di ba LAHAT BAWAL AT MAY KAUKULANG BAYAD SA SG hahaha. Wala kaming pambayad ng fine! Pero I can explain myself naman IN CASE lang. I think. Thank goodness wala namang pumitong pulis. After ng nakakahiyang mga pangyayari, KJ tummy finally settled down a bit. No more retching but still, di pa din makakain ng matino hmp. There goes my grand dream of SG food trip. Lakas maka-experience amp. Kinabukasan, when we were back in KL, I got my monthly period. Kung minamalas ka nga naman. A few weeks ago, one of my college friends proposed a roadtrip to the south to which I happily obliged. Any invitation to get out of the metro is most especially appreciated. Along with Ed, Udit, JC and Juraine, we left Ortigas early and by around 11 was already in Laguna. Our first stop was at Calamba to see the largest statue of Jose Rizal in the country. Man was it HUGE. Then back on the road again to UPLB. It has been a long while since I've been to LB and it was nice to come back and catch a glimpse of our sister university in the south. I asked them to pose here in the woods fronting the Museum of Natural History. Too bad though the museum was closed. I was intent on finding Dairy Training & Research Institute to buy those famous milk and cheese but everyone we asked does not seem to know where it was haha. And since we're on the general direction of IRRI, we decided to check the place out. The guard said that we cannot go anywhere else in the vicinity except for the cafeteria so we all hurriedly said yes, we're just gonna have lunch in the cafeteria (but we didn't mean it at that time). We just want to sneak in lang talaga! We decided to stay and have our lunch there! It was so worth it, IRRI cafeteria is the best cafeteria in the world (okay sige Pilipinas na nga lang)! Thank you doc Udit for the lunch, our tummies cried of happiness! Then after lunch and a short detour on Kari's Garden (very, very zen lang! ), we proceeded on finding their version of acad oval to hunt for that ever famous fertility tree. Here it is, the fertility tree! Photo ops with the Oble is a must. Next stop was Liliw, Laguna, probably an hour away from Los Baños. We checked out some local shoes that they're selling (they're quite famous for it though I'd say there's nothing extraordinary like the ones we have here in tiangges and Divi). I've been here as part of undergrad fieldwork and I remembered that this place is so unlike other Laguna towns that I've been, it's far and has this very provincial touch. After exhausting ourselves from store hopping and fruit and vegetable shopping we're back on the road once more. Ayaw naming gabihin sa daan because afraidy aguilarrr lang. We had all sorts of morbid ideas of possible scenarios if we don't get out when night falls lolol. Lastly, before dropping Juraine off to her place in Alabang, we had dinner in Songkran, a Thai restaurant somewhere in BF Homes. Yes, JC drove her car (and all of us) back to Ortigas while Juraine stays in her Alabang unit carless! 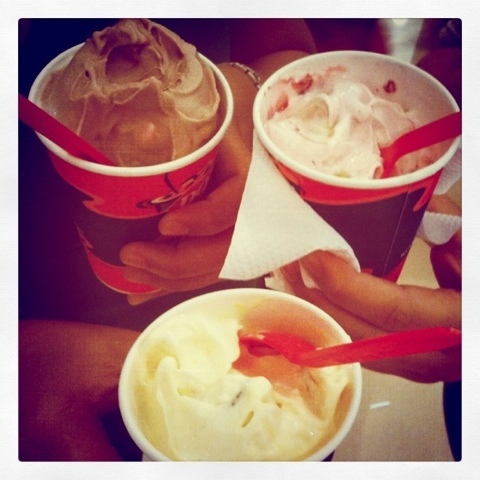 I was being stressed by this person so I decided to take a break and invited the gang for a DQ break. 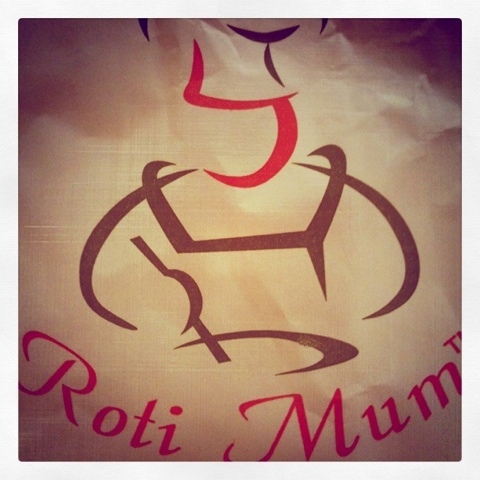 I also bought a coffee bun in Roti Mum while a friend lines up for a milk tea. I'v been pestering the Cheese for months now for this "rabbit", and finally he gave in! Thank you!!! 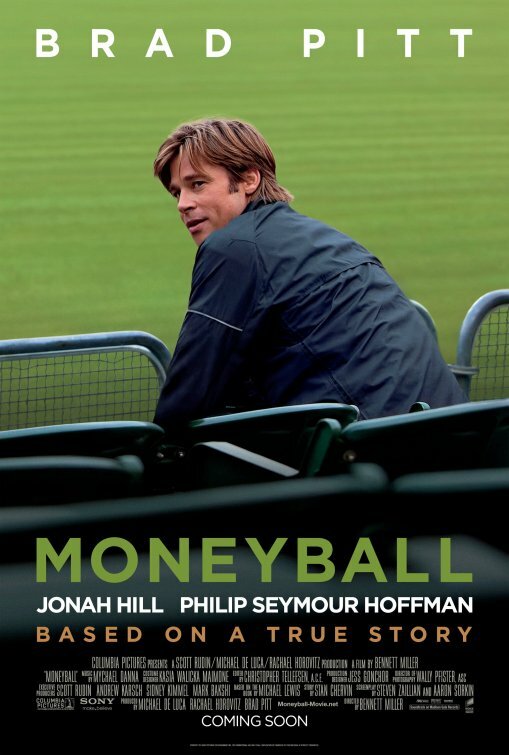 If Rotten Tomatoes rated Moneyball with a whopping 94% on its Tomatometer, then you know that this film is not something you should shrug off as that-film-who-stars-handsome-Brad-Pitt. However, it isn't also one of those "sports movie" that you have in your mind. Mostly it's about what goes on behind the manager's room, the dugouts and the pitch. To quote a term, it's about "sports management". Moneyball begins in year 2002 where an underfunded baseball team - the Oakland Athletics -just lost their 3 best players from other wealthier clubs. It is up to general-manager Billy Beane, with the aid of his senior scouts, to look for players that will replace the three from within their budget (which is really not much). While negotiating with Cleveland Indian's GM, Beane meets Peter Brand, a 24-year-old economy graduate from Yale. Brand believes that a winning team is not necessarily made up of star players, instead a collection of talents that eventually will add up to the sum. He uses statistics in order to determine a player's weakness or strength, and from that information, together they built a team that ended with a baseball record. It's not action-packed and for most people might be quite boring but I enjoyed watching every bit of it. It also doesn't hurt that I was watching Brad Pitt with his crinkly (or is that wrinkle?!) eyes who after all these years is still an eye candy. Definitely shows a formidable side of Pitt's acting career through the years. We also spotted Susie dining with humans in a restaurant! Geno seems to be missing and it doesn't look to me that Susie misses her. teehee. So we walked our way out of McKinley Hills towards the general direction of BGC. We found ourselves here. I originally ordered Strawberry Surf Rider but found it too sour for my taste buds (candy fruity but sour actually) so I exchanged it for a Banana Berry instead. I love that Jamba Juice has this kind of rule so at least you won't be stuck with what you get if it turns out you don't like what you first ordered. While waiting for our order to be called, who did we find? 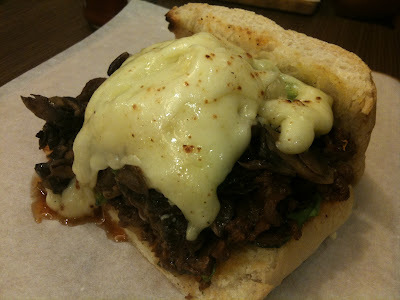 The Fat Kid Inside himself, Erwan Heusaff. Now these are happy faces of satisfied customers. I love that my juice isn't too sweet because I'm still recovering from a recent bout with colds and coughs. 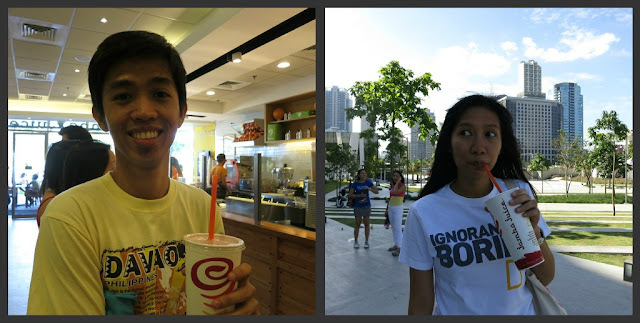 We went back to the general direction of High Street and Serendra for our last stop: Sonja's Cupcakes. I was about to buy my usual favorite - PB&J - but then the Cheese saw this and said to try it instead. An afternoon well-spent (and budgeted! 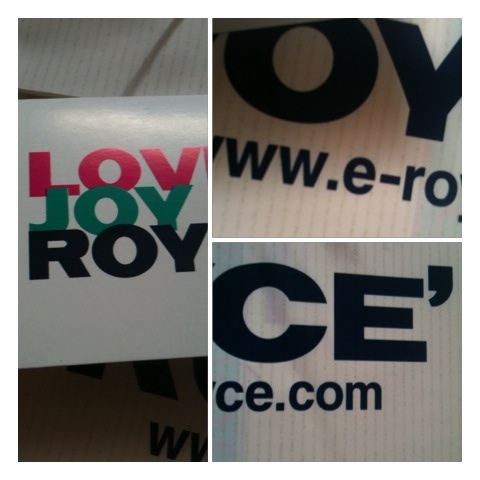 ), tomorrow we run. 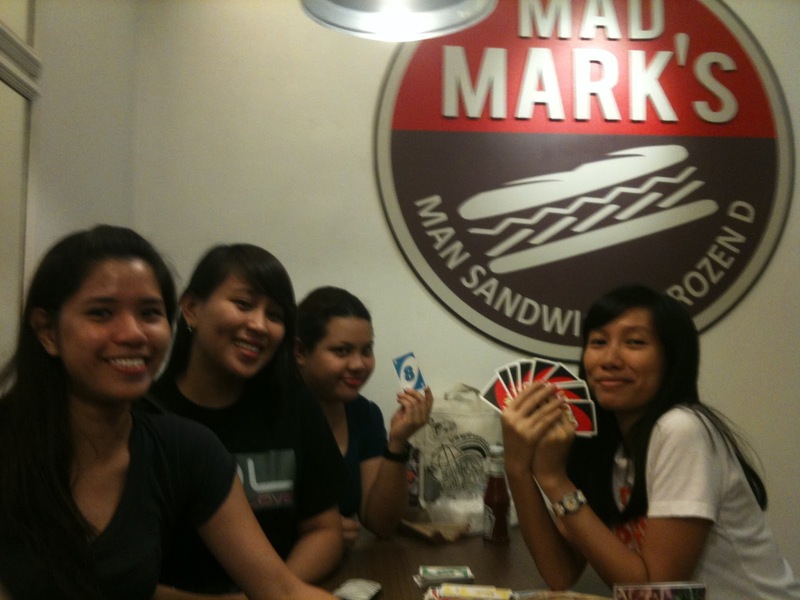 Last night I finally got to try Mad Mark's Man Sandwich and Frozen Dessert. Although I live in Kapitolyo (and very near their place quite frankly) I never got the chance to try the newest food hub in our neighborhood. Thank goodness for spontaneous night outs! We ordered their Lumberjack Sandwich and requested for it to be divided into 5 (we bought 1 and a half) just to have a taste of what it's like. And it didn't dissapoint! Here we are girls sans Joel who took the photo. We were also about to have a round of Uno card game after finishing our food. 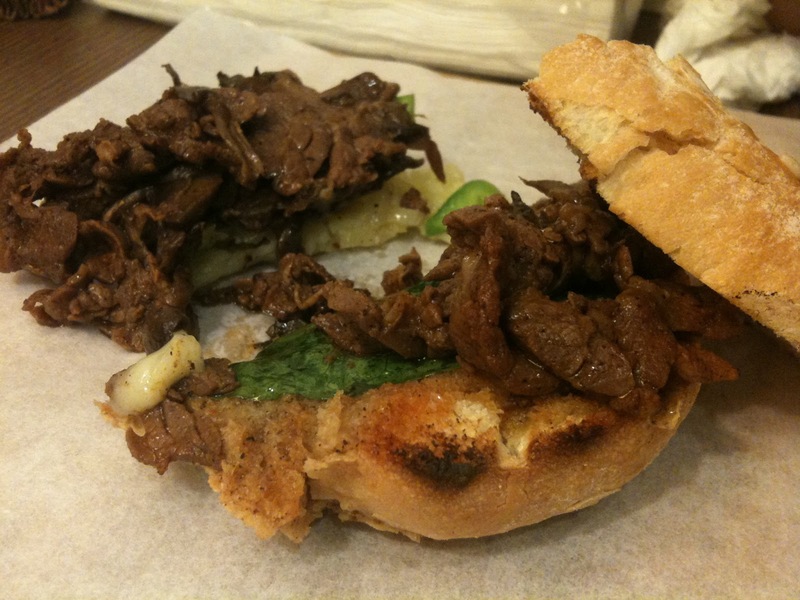 Do not be deceived by its small size, it's actually very heavy on the tummy! 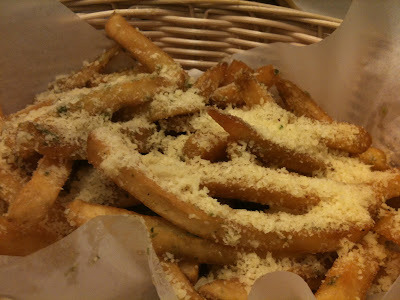 Their Herb Parmesan Fries though for me was the surprise hit. It was a foodie gem! And to cap the evening off, we of course ordered ice creams! 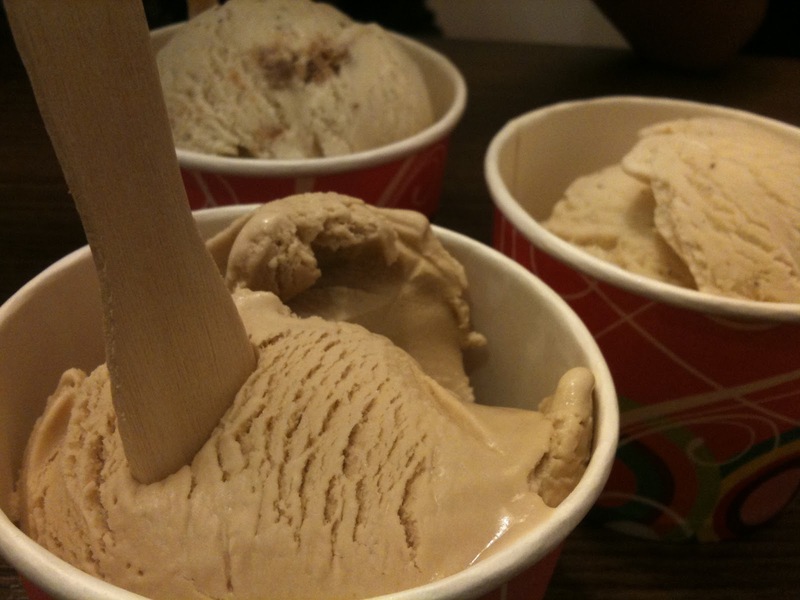 Half-Baked Madagascar (Madagascar Vanilla Bean with half-baked cookie dough), Madagascar Vanilla Bean and Mandheling Macchiato (made from fresh roasted Mandheling Arabica beans from Sumatra). The Mandheling Macchiato was my top choice among the three bilang Ben & Jerry's still holds the best cookie dough ice cream spot for me. On our second day, the Cheese and I were supposed to visit Ben Thanh market at around 7am but seeing that he (and Kimi) were still fast asleep, I ended up going out by myself. 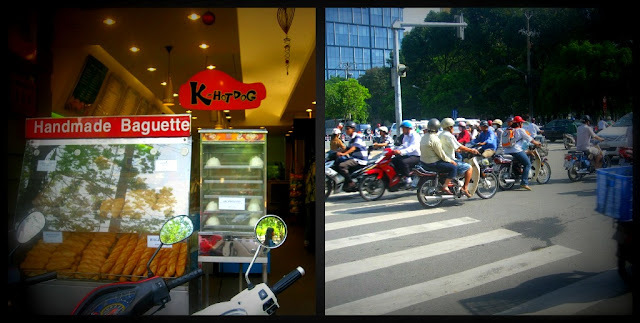 I didn't go to Ben Thanh, I just walked around Pham Ngu Lao area, taking in the sights, observing the people and various activities on a crisp early morn. While walking past the now familiar street, I met an old lady selling various thingamajigs, from mini flashlights and batteries to scrunchies. I bought a scrunchy to tidy up my hair and parted with 5000VnD. I felt robbed but then thought again, sige na nga, balato ko na sa'yo yun inang! I bought a Banh Mi and iced coffee from the corner before coming back to the hotel only to find that the two were still sleeping! Woke them up because the van that will take us to Cu Chi and Cao Dai will be arriving shortly. After everyone had a shower, we traipsed down to the basement to have our breakfast. In HCMC, mapupurga ka na lang sa baguette because that's what they always serve (it's on the house yo! ): toast baguette, butter and strawberry jam with coffee or pineapple juice. At around 8.30 the guide picked us up from the hotel. After picking up other tourists who also signed up for the tour (Singaporean friends, Russian and Irish couples) we were on our way to Cao Dai. But first, a pit stop at this craft store where all the products are made by handicapped people. It was amazing seeing all the end products being sold at the nearby shop, you'd hardly believe they were the brilliant works of war victims/handicapped persons. Our van arrived at Cao Dai Temple at almost noon just in time for the midday mass being held everyday. All tourists are encouraged to witness this. The temple was built as an attempt to create a perfect synthesis of world religions - a fusion of Buddhism, Taoism, Confucianism and even Catholicism. The huge temple sits on a vast compound where everything seems to be in order. Shoes are not allowed inside the temple so is talking when the mass starts. Cao Dai Temple from the outside, a priest and rituals at noon. After an hour, we left Cao Dai to proceed to Cu Chi tunnels but first we stopped on an eatery (probably associated with the tour organizers) for a late lunch. The food wasn't that bad despite its prices that were pretty steep for our budget. I remember falling in and out of sleep on our way to Cu Chi district cos apparently it took us about an hour to get there. We paid VND 80,000 for the entrance (not included with the tour package) which is less than $5 when converted. It was already late in the afternoon but there were still many tour groups being heralded inside. There are many ways to die and they are all gruesome. Some examples of man-made traps during the war. 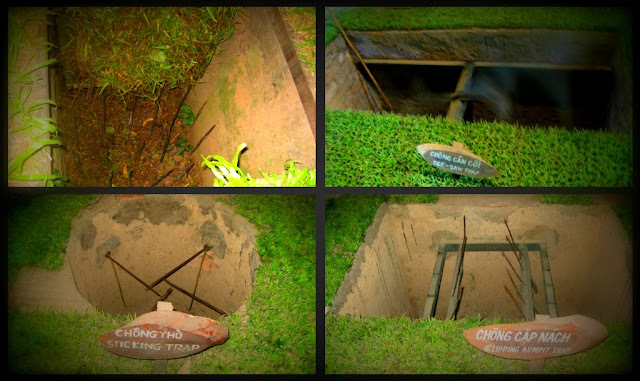 Cu Chi Tunnels are quite famous for its network of underground tunnels where the Viet Cong guerillas hid during the Vietnam war. Everything looked so simple: a dugout, a mound with an opening and death baits/traps. It was ridiculously simple yet so brilliant. The Vietnamese had all the advantage because of their small physical built - they were able to lower themselves inside a teeny tiny mound (that doubles as a hiding base) and no Americans can follow suit. However, it was never easy during the war. Sometimes they have to stay underground for many days after heavy bombing which exposes them to natural dangers such as pests, snakes, mosquitoes and hunger from staying too long without any food supply. After a local guide demonstrated to us how they go underground, they called for volunteers to try it out. The Russian guy, despite his huge frame, managed to fit himself though he had a hard time coming out. Then JC also tried it. Of course it was too easy for him since he has a small frame! JC and Kimi surfacing from an underground tunnel, you don't wanna get hit with that and me, inside the tunnel. Then we tried out some parts of the tunnel where our Caucasian brothers and sisters obviously were having a hard time because 1) they have hugely built frames and 2) there's barely air underground, meaning it was so HOT inside not to mention the lack of air is pretty suffocating too. I'm glad I come from a tropical country hee. But we were all equal when it came to "crawling". After that, we were ushered into a sort of mess hall style dugout where they showed a short video of how the Vietnamese did it to survive in the jungle and underground tunnels. Then we had a small snack of boiled cassava and tea courtesy of Cu Chi tunnels management which was pretty cool! After a long day on the outskirts of HCMC, I'm glad to come home to a steaming hot bowl of Phở bò and iced coffee. After having dinner, the three of us got down to the business of scouring the city for some genuine TnF gears. At least that's what we learned before coming here: Vietnam is a haven for everything North Face. 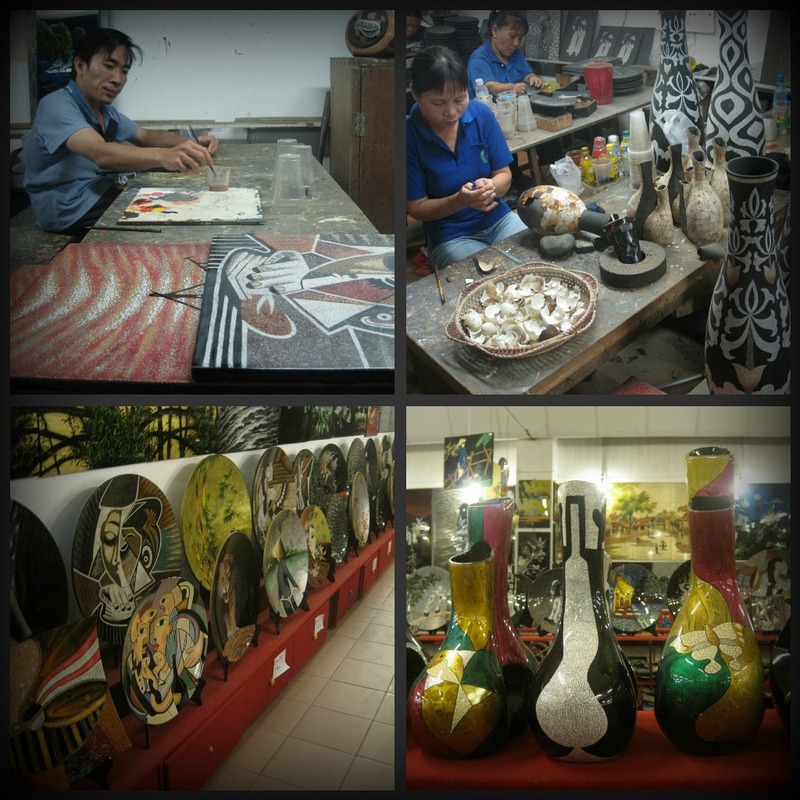 However, like Manila, there are also (sickeningly) too many replicas and trying hard imitations found in Vietnam. It's up to the buyer and their skills of scoring a genuine one when they see one. I'd like to believe that Kimi and I scored pretty decent TnF jackets but its authenticity is actually debatable. But as one of my outdoor friends would say, it doesn't matter if it's authentic or not as long as the quality is excellent. My waterproof TnF jacket passed its test when I wore it during last year's Mt. Pulag climb via Tawangan trail. After going around Pham Ngu Lao district twice, ooh-ing and aah-ing to various sights we may or may not have seen twice, we returned to our hotel - Nguyen Khang - to pack our things. Our midnight bus awaits to take us to our next destination: Phnom Penh, Cambodia.